Perhaps the biggest point emphasized on MoveMyBiz.com is that business relocation is a complicated process and requires a great deal of time to plan successfully. Negotiating a lease, initiating build-out in the new commercial space, creating a modern and cost-effective design—each step requires a large amount of time, planning, and money because so many teams and experts must be involved to do the job right. It can be fairly overwhelming at times, which is why more and more businesses are beginning to take a different route. Instead of committing to a long-term lease, businesses are opting for short-term rents of pre-furbished spaces. Here’s how it works: there are a number of companies that own large networks of commercial property and rent workspaces on a monthly, even daily basis. There is no long-term lease, merely a pay-as-you go system, tailored to your particular business needs, whether that entails several floors for 100+ workers, or merely a day office for a small start-up business. The key for the short-term rent is flexibility in an ever-changing business world. There are two huge benefits for move coordinators where short-term renting is concerned. The first is clearly the flexibility provided. When you consider the traditional lease, it requires companies to remain in a fixed space for five or so years, despite the many unforeseen changes that will affect their business. Perhaps the business grows beyond forecasted growth, and the space simply cannot support that growth. The reverse could also occur in which the company does not meet growth predictions and must pay for unused space. In fact, “Businesses typically view their commercial real estate as a non-revenue-producing expense,” explains Drew Kiran, Vice President of Sales in the Americas for Regus—an international company that rents executive suites in 550 cities around the world. To eliminate this large expense, office space needs to be flexible and able to change without the huge costs of build-outs or new leases. 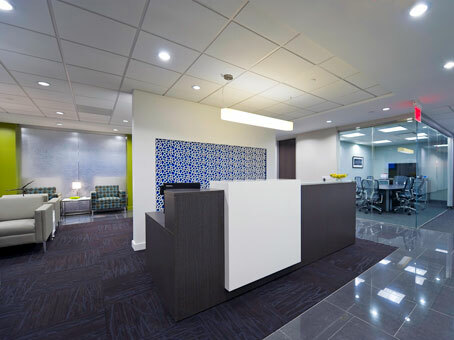 With companies like Regus, businesses can move to larger or smaller spaces and different regions as needed, allowing them to innovate and change as quickly as their industries. This checklist tells you step-by-step what to consider for your short-term lease. Get Your Free Short-Term Lease Checklist! The second major benefit of short-term renting is the price. Consider the huge number of expenses associated with a move. The capital expenditure is astronomical because not only must a move coordinator pay for “non-revenue producing” real estate, but he also needs to arrange for the purchase of offices desks and chairs, wiring for an entire IT network, and updated technology. Plus, all of these purchases require the hiring of additional experts, like IT services and administrative support simply to keep it all running. With short-term rent, these expenses are reduced significantly, because the owner of the space not only provides furniture and technology, but an entire staff to support the daily maintenance of the space. According to Regus case studies, this has saved their clients over 70% compared to the cost of their traditional lease. Because the short-term renting system’s flexibility and affordability, it can support a wide range of businesses. A telecommuter that typically works from home, but needs a professional space to meet with a top client, can utilize a meeting room or office within a flexibly rented property. This can also support the mobile worker who may be in many regions of a city in a day, or perhaps many regions of the country in a week, but needs an office to touch base once she lands. Even large Fortune 500 companies benefit from the flexibility because they can expand into new regions with less risk by renting for a short term. Without a set commitment to a specific space, businesses of all types can better react to the changes and innovations of the modern business world. If you aren’t ready to commit to a space long-term or simply aren’t ready to pay the huge capital expenditure to relocate, consider researching companies that offer short-term commercial rentals. They take the headache out of managing an office space and allow companies to focus on more important things, like the success of their business. Check out our tips on signing a commercial lease!